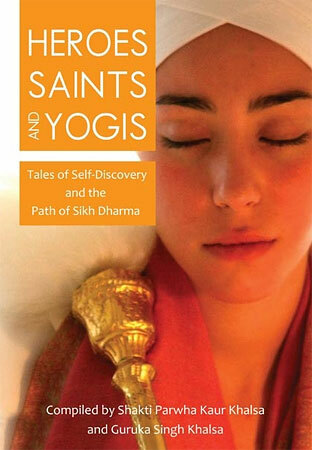 Heroes, Saints and Yogis is a collection of wonderfully inspiring essays about the path of Sikh Dharma, its history, its practices, and its connection to the path of Kundalini Yoga through the Teachings of Yogi Bhajan. Like all spiritual paths and teachings, it is often the tales, stories and historical retrospectives which have the capacity to open up the understanding and reach a deeper level of experience. This book offers the opportunity to look deeper into the spirit of Sikh Dharma and to learn more about it. This inspirational book is written by Shakti Parwha Kaur Khalsa and Guruka Singh Khalsa. Shakti Parwha Kaur Khalsa was the first student of Yogi Bhajan in the United States while Guruka Singh Khalsa is the founder of www.sikhnet.com and a poet and translator of the Siri Guru Granth Sahib, the holy book of the Sikhs.